Time was when those twee animal clips on YouTube were uploaded by fond pet owners wanting to spread the cute. Popular phenomena can never be left in the hands of amateurs though, and it’s only so long before the multinationals muscle in with a budget and a creative director to come up with a clip that will get slack-jawed iPhone gawpers saying "awww, cool". 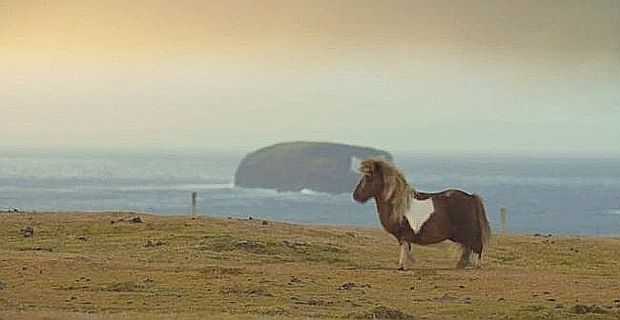 Such is the case with mobile network 3’s ad featuring a moondancing Shetland pony, essentially a fairly crude piece of video manipulation soundtracked by Fleetwood Mac’s catchy Everywhere (which will no doubt be soaring up the downloads chart thanks to the saturation broadcasts). It’s already racking up countless YouTube hits. So far, mildly depressing. In the age of the joined-up marketing campaign though, we are then subjected to the PR teasers telling us that the Shetland pony in question, called Socks apparently (a cute pop culture reference to Bill Clinton’s cat) won an "X Factor style" contest to find the right pony, beating off the challenges of hundreds of other wannabes. The Sun was happy to play along. "He had to be trained for two weeks so his dancing skills were up to scratch," the paper claimed. He really didn’t, because ponies don’t dance. Owner Mari Williamson said: "I always knew he was a star, it was just a case of everyone else finding out. Socks is not like any other Shetland pony, he's unique. He's a quirky character and a happy chappy." Thanks for that Mari, but could we persuade you to say something else inane that would tie in with another topical news story. Oh, go on. "No one is getting to eat my moonwalking pony." It gets worse. Apparently Norwegian stylist Bjorn Larsen used horse-hair extensions and hairspray to make Socks look like "a cross between a young Rod Stewart and Limahl". Were the SSPCA informed? Customers of 3 might prefer the company to improve its network coverage (Shetland would be an appropriate place to start) rather than blow its users' cash on what aficionados of Cockney rhyming slang would recognise as a load of old pony.